Friends of Georgica Pond (FOGP) are happy to welcome Dr. Bradley Peterson to the Georgica Pond Team. An Associate Professor at Stony Brook University School of Marine and Atmospheric Sciences (SOMAS), Dr. Peterson is an expert in plant-animal interactions within seagrass ecosystems along the eastern coast of the U.S. Dr. Peterson’s work on the pond this summer is a crucial element in making a case for future pond openings and dredging. He and his graduate student Steve Heck are conducting a quantitative survey of blue crab and fish populations within the pond to better understand the abundance and species diversity. Amazingly, a formal inventory of Georgica’s fish and crab populations has never been done. The abundance and location of overwintering crabs will also be studied. In addition to sampling, Dr. Peterson and his team will interview local baymen who still work at Georgica Pond in search of crabs, eels and other fish. 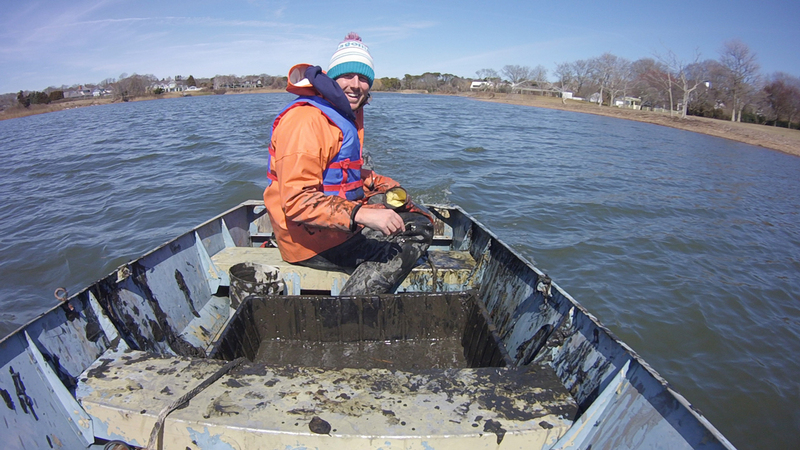 Dr. Peterson started his research this winter while the crabs were hibernating in the mud and will continue sampling for fish, crabs and crab larvae during the summer. His findings will help inform future management decisions regarding dredging and pond opening. One of Georgica Pond’s most celebrated residents the blue crab Callinectes sapidus (which translated from Latin means “beautiful savory swimmer”) has brought joy to generations of East Hampton residents. Catching them for dinner with either a crab pot, trap or a chicken neck on a piece of string is a local tradition. Blue-green algae blooms have forced the East Hampton Town Trustees to temporarily close the pond to crabbing over the last few years. 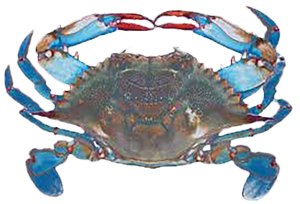 A ferocious predator, blue crabs feed on almost anything including fish, worms, insects and they are also cannibalistic. According to the NYSDEC they have one of the strongest set of claws of any crab in the world, so be careful when handling them! Dr. Peterson’s research is funded in part by a grant from the East Hampton Village Preservation Society. We thank them for their support!